If you haven't yet installed NextGEN Gallery, please follow this step by step guide on how to install NextGEN Gallery on your WordPress installation: Installing and Updating NextGEN Gallery. *Please keep in mind that we do not provide support for the WPML plugin. Any questions regarding the plugin, please reach out to their support team. 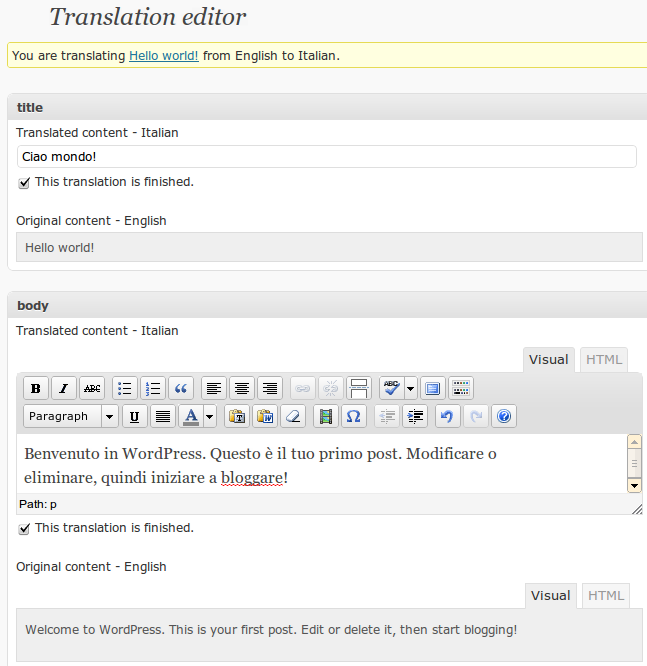 To translate your website into multiple languages, we suggest installing WPML. 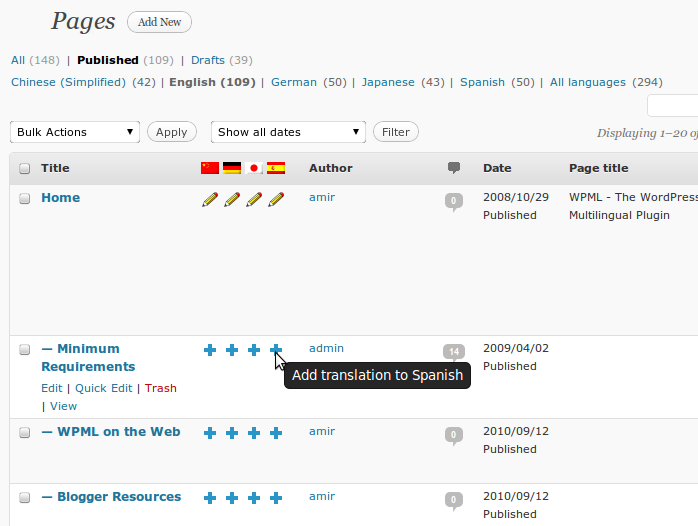 It's one of the most popular plugins for translation. Instead of having to download .mo files and edit wp-config.php to set the WPLANG variable, this plugin does that work for you. Much easier than editing core files on your site on the server. You can learn about the different modules in the WPML Core and Addons page on WPML website. WPML is a premium paid plugin, so you will need to log in to your WPML.org account. You can install any WPML components that you need. You can also just install the WPML Multilingual CMS plugin and receive the rest of the components directly to your WordPress admin. Unzip each file. A directory will be created. Upload the unzipped directories to your site’s ‘wp-contents/plugins’ directory. Log in to your site, go to Plugins and click 'activate' for each.